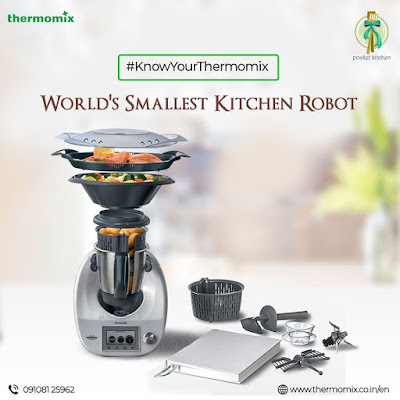 It was early on a lazy Sunday morning as we headed out to the office of Thermomix India to get an overview of this product, its capabilities and in the hope of reducing efforts in the kitchen. 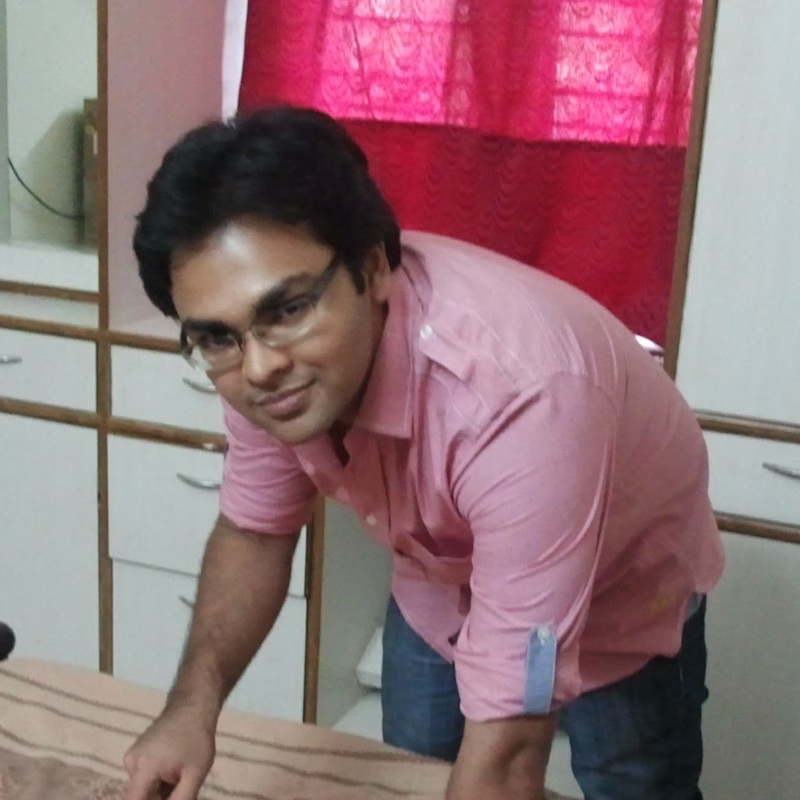 It turned out to be quite an interesting experience. Blend, Crush, Grind, Chop, Puree: Blend Smoothies, crush peppers or ice, grind coffee beans, chop onions or make a smooth tomato puree. Mill: Make your favourite flour at home from rice, millet, maize or any other grain of your choice. Weigh, Knead, Whisk : Weigh each ingredient easily and keep taring to get precise weights always, knead dough for breads, pastas and pastries or whisk eggs for an airy mixture. Emulsify: Emulsify salad dressings, cosmetic products and even mayonnaise. Grate: Grate hard items such as chocolates, cheeses, etc. Fry: For ex., If you would like to caramelize onions, then you need to use a cooktop. While the above points will give you an idea of what the Thermomix is capable of, an important point that is not immediately apparent is using a combination of 2 or more of its functions to cook a dish of your choice. So this device actually comes with an inbuilt set of recipes which are pretty easy to flow, and stepwise instructions pop-up on the screen to guide you through it. And you can buy additional books/chips for a style suited to your tastes. There are some features that particularly appealed to me. Thermomix is able to maintain the temperature of ingredients for a specified time. This is immensely useful, if you would like to make chocolates and you want to keep your couverture at a precise temperature before you temper it. There are inbuilt control points to ensure that you don't overbeat/overcook a particular ingredient, which is really helpful when you start using this machine. Hummus: Having made Hummus at home a bunch of times, I was interested to see how Thermomix can simplify the process. From start to end(excluding prep. time for things like boiling chickpeas), a deliciously creamy homemade hummus was ready in 10 minutes flat. Apart from the time factor, what impressed me was that just 1 vessel was used to make this dish, and the weighing feature made sure we had ingredients at the right quantity, so once you have a recipe tested, you can never go wrong. Impressive! 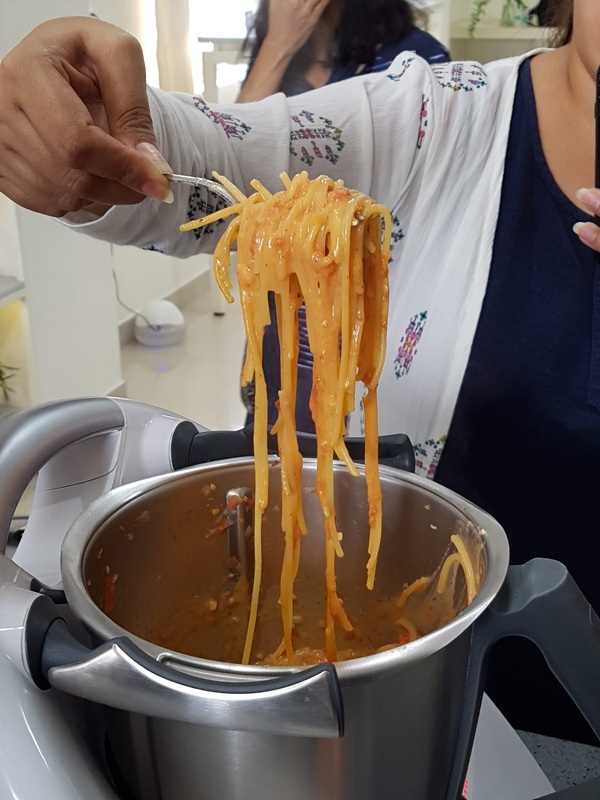 Spaghetti In Marinara Sauce: Another relatively easy recipe to make at home, but Thermomix did this just quicker and more efficiently, The sauce is cooked as per your preference and once it's simmering, just add the pasta whole, right out of the package! The first time I have seen that in a machine, and it was perfectly cooked, Al Dente! Fresh Fruit Ice-Cream: Chunks of frozen pineapple, coconut cream, a bit of jaggery/sugar and all these are churned together for a few minutes and magic happens. Creamy, homemade, health and oh-so-delicious pineapple ice-cream was ready to eat, without any mess whatsoever. These were just a small selection of dishes that we witnessed in action. Thermomix is a an beautiful piece of German engineering and while it is capable of making a lot of dishes almost effortlessly, the question remains. Honestly, there is no one answer that fits all. There are a few scenarios where I feel it can definitely help. Thermomix is capable of replacing a lot of equipment in your kitchen, including your Mixer-Grinder, Blender, Bread-Maker, Steamer and so on. This is especially a good fit for working couples, who do not have a lot of time to prepare elaborate meals, but still want good-tasting food. Less messy and completely efficient! 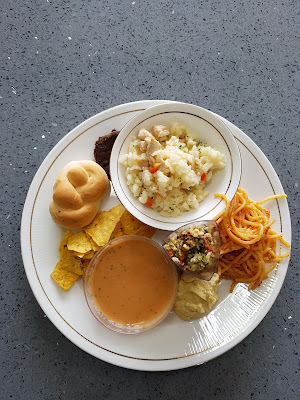 Thermomix is also a boon for those who don't want to spend time on complex recipes, or who don't know too much about cooking, but just want to explore new options/recipes without doing a lot of research. Just select a recipe, and follow easy step-by-step instructions to get a consistently good-tasting recipe! Add to that, excellent after-service support, high-quality manufacturing and components and an extremely reliable core. It is time to automate your cooking. Let Thermomix do the hard part, while you let your hair-down and have a ball with your friends, family or colleagues!